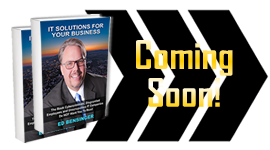 IT SOLUTIONS FOR YOUR BUSINESS - COMING SOON! APPEARING ON THE NASDAQ® JUMBOTRON! 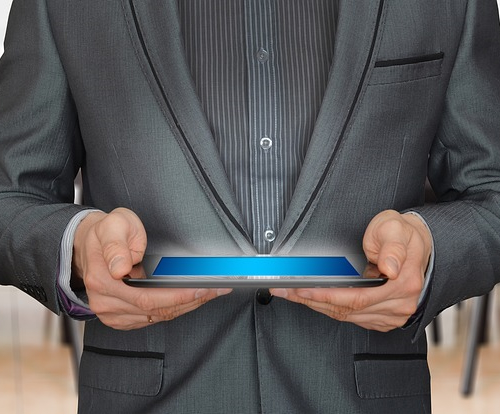 Schedule Ed for your next IT event! 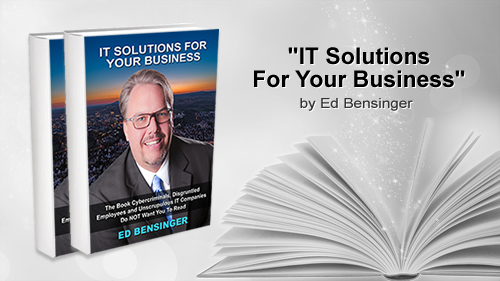 Ed's New Book, "IT Solutions For Your Business" - The Book Cybercriminals, Disgruntled Employees and Unscrupulous IT Companies Do NOT Want You To Read - Get Notified When It's Available! 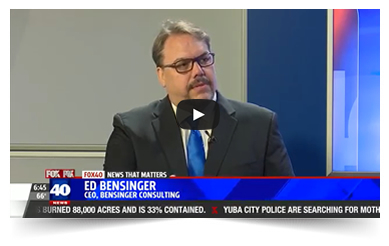 Messages and stories from some of the top Thought Leaders in the world. 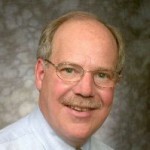 Each invited to a special once a year event at the Business Expert Forum at the Harvard Faculity Club. 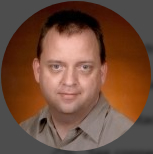 Coming soon!, Ed's New Book, "IT Solutions For Your Business" - The Book Cybercriminals, Disgruntled Employees and Unscrupulous IT Companies Do NOT Want You To Read. 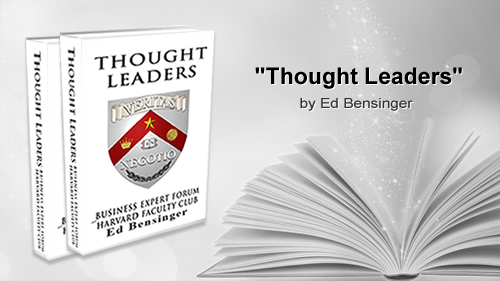 Request Ed's New Book, "Thought Leaders" - Messages and stories from some of the top Thought Leaders in the world. 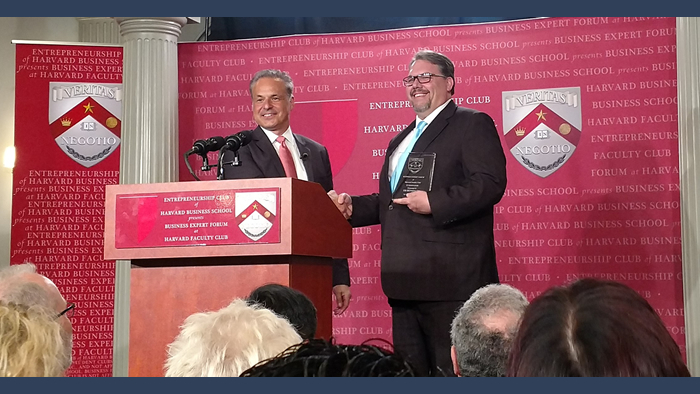 From the Business Expert Forum at the Harvard Faculity Club. 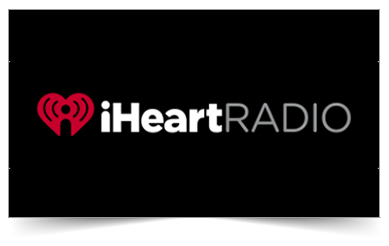 Ed discusses the recent Russian Router Hack. 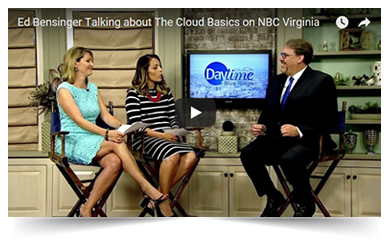 Ed talks about The Cloud Basics. 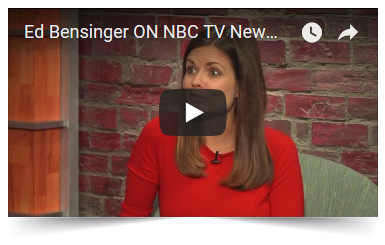 Ed Bensinger on CBS TV Washington! Ed explains the top 3 mistakes people make online. 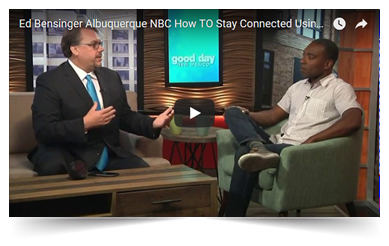 Ed Bensinger on NBC TV New Mexico! 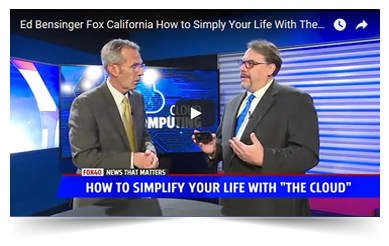 Ed explains How to Stay Connected Using "The Cloud". 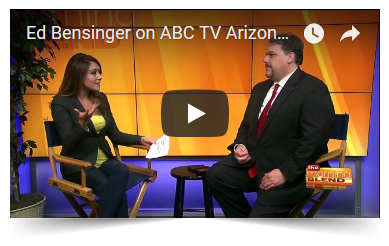 Ed Bensinger on ABC TV Arizona! 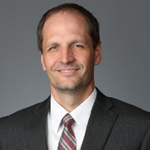 Ed explains mistakes to avoid online to keep your information safe. 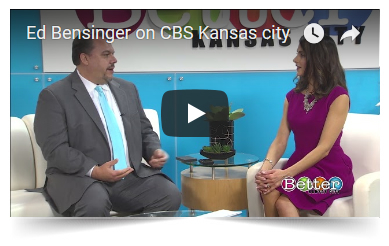 Ed Bensinger on CBS TV Kansas City! Ed talks about his humble beginnings and gives his famous "Duct Tape House" speech. 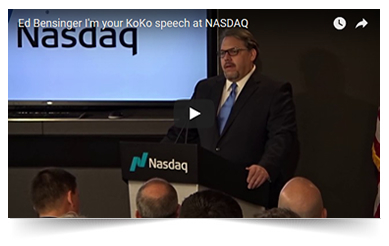 Ed gives his "I'm your KoKo" speech, explaining Bensinger Consulting’s KoKo data security analogy. 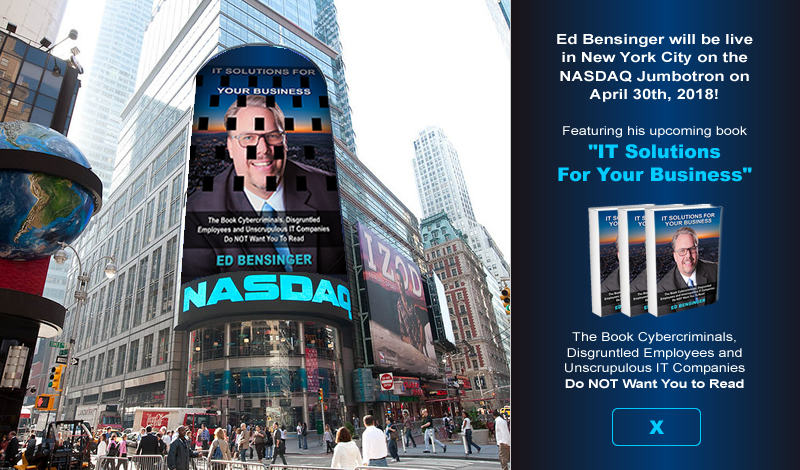 Ed Bensinger on the NASDAQ Jumbotron! 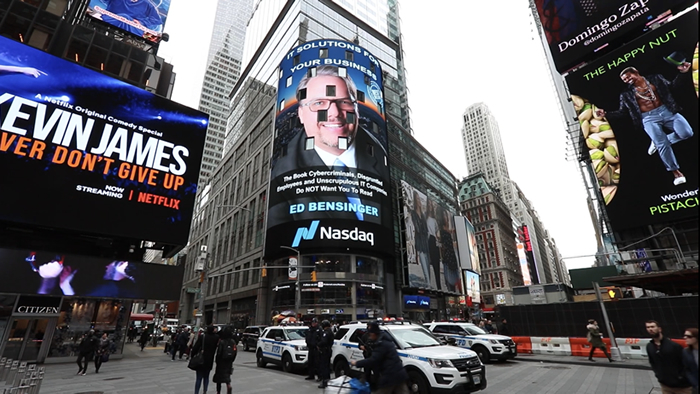 April 30th, 2018 - Ed Bensinger visited New York City where he appeared on the NASDAQ® Jumbotron! Ed was promoting his upcoming book "IT Solutions For Your Business". The Book Cybercriminals, Disgruntled Employees and Unscrupulous IT Companies Do NOT Want You to Read. 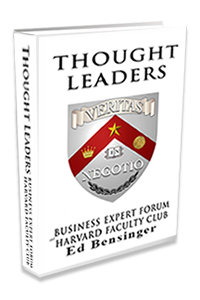 November 21st, 2017 - IT consultant, Ed Bensinger, speaks at the Business Expert Forum at Harvard Faculty Club! 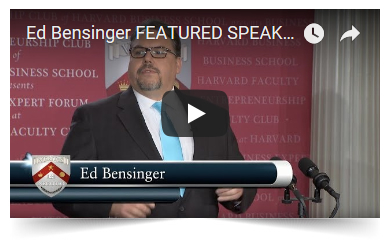 IT consulting company owner, Ed Bensinger, was a featured speaker at Business Expert Forum at Harvard Faculty Club, an annual conference of thought leaders from around the globe. 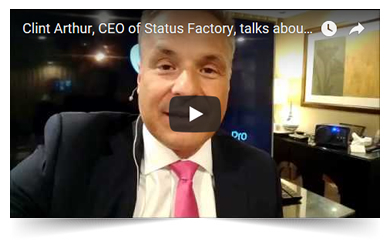 Clint Arthur, CEO of Status Factory, talks about hearing Ed's Harvard speech. 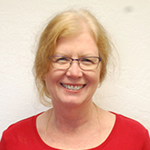 Alice Branton, CEO at Trivedi Effect, talks about Ed Bensinger's Harvard speech. 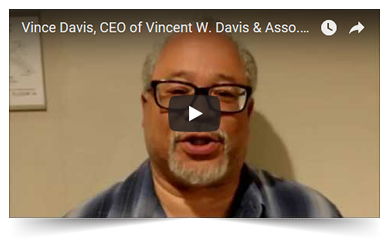 Vince Davis, CEO of Vincent W. Davis Law, talks on Ed Bensinger's Harvard speech. 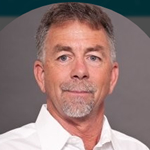 Our Team Members More Efficient "
Ed Provides Our Managed Services"